Europa Nostra, the leading heritage organisation in Europe, and the European Investment Bank Institute issued today a technical and financial report comprising an action plan to restore twelve Post-Byzantine religious buildings in Voskopoja and Vithkuqi in the Korça region in south-east Albania. The religious buildings were listed among the 7 Most Endangered heritage sites in Europe in 2018, following a nomination made by “The Past for the Future” Foundation. The report was formulated on the basis of the outcome of the four-day mission in Albania undertaken on 18-21 September 2018. 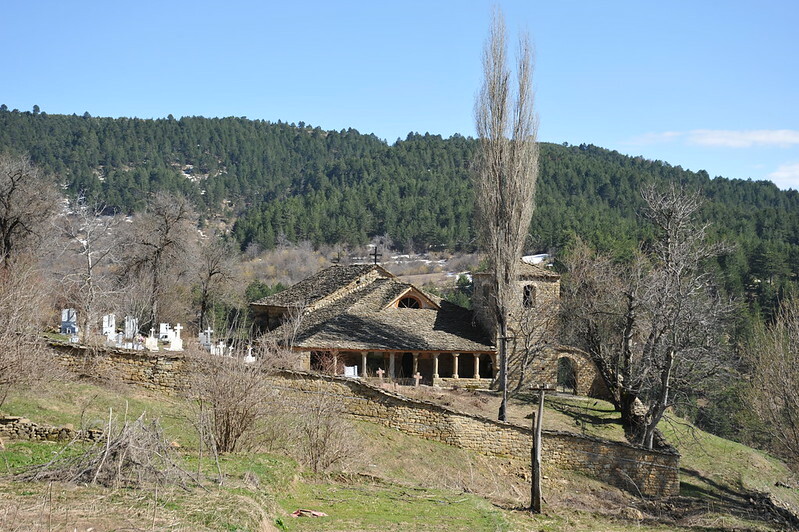 During the mission, heritage and financial experts from Europa Nostra and the European Investment Bank Institute visited the Post-Byzantine religious structures in Voskopoja and Vithkuqi and met with national authorities – including Evis Kopliku, Director at the Ministry of Tourism and Environment, Mirela Kumbaro, Minister of Culture, Johan Pelushi, the leading representative of the Orthodox Church in Korça, Voskopoja and Vithkuqi, non-governmental civil society organisations and other stakeholders –, with the aim of mobilising efforts towards saving these iconic religious buildings. This group of twelve religious buildings comprises ten churches and two monasteries, the earliest dating from the late 14th century and most dating from the 17th and 18th century. These churches represent a new architectural and unique form of basilica combining the Byzantine and Ottoman traditions. 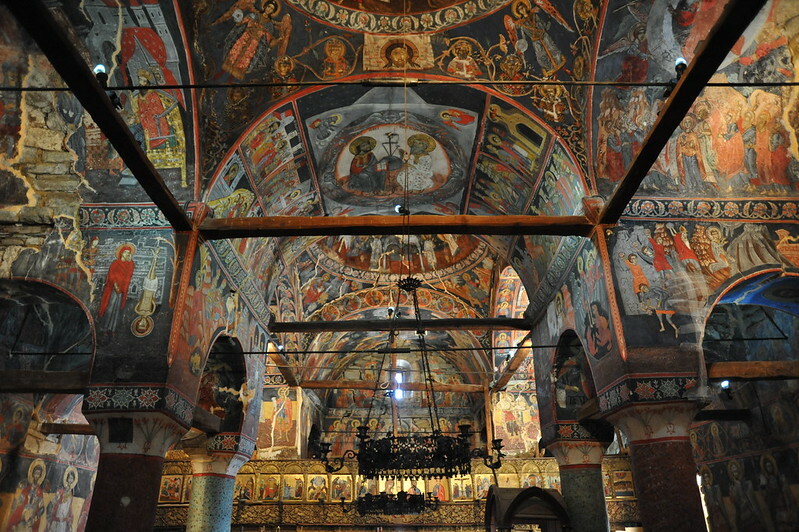 The frescos are the most representative of 17th-18th century ecclesiastical art in the Balkans and are masterpieces of the post-Byzantine style. “These churches are exceptional by their history and form and contain very remarkable works of art which merit to be restored as cultural heritage as well as for the potential tourism benefits to this undeveloped region. An opportunity to fund such works is becoming available and this should be taken by ensuring that a sound dossier and programme are prepared and various improvements in resourcing, quality and coordination are adopted as recommended,” highlights the report. “The Ministry of Culture has been particularly involved in starting to restore these monuments in the Korça region through its local Regional Department of Cultural Heritage, part of the Institute of Cultural Heritage based in Tirana. Most of the twelve buildings have had some essential protective restoration undertaken recently. Funding and resources have been limited and the works carried out seem to have been fitted in as the resources became available rather than forming part of a structured long-term programme. Nevertheless, the works seem to have been done rationally with initial attention being paid to protection by repairing the roof structures and also to the main structural integrity of the buildings. (…) While much useful work has been undertaken not all has been to the high standard expected for these exceptional monuments,” notes the report. A strategic programme seems to be lacking. Attention should be placed on developing such a rational programme so as to obtain funds, and to plan and programme optimally. Such a Strategic Review and the establishment of an Overall Programme is proposed as a first action. Such an Overall Programme should be practical and sufficiently flexible. It should involve discussions and cooperation with other interested parties to gain support. The Orthodox Church, the Korça Municipality, the local village representatives and local experts should be more actively engaged and encouraged to contribute, and greater efforts should be made in this respect. Some form of structured contacts, for example through a Coordination Committee under the aegis of the Institute of Cultural Heritage (ICH), would be useful to improve decision making and involve locals more closely with the programme. Agreement is necessary on a maintenance programme after restoration. Some technical issues where inadequacies have occurred (e.g. church flooding, poor roof repairs, works programming – serious cracking while roof repairs underway) require review and improvement to avoid re-occurrence. Improved contractor selection, firmer specifications and much stronger site supervision are recommended. The recently permitted use of external consultants should be encouraged to help solve these issues. The restoration of the frescos is now the principal activity, representing more than 70% of the new work. The scale of work proposed is considerably greater than previously and will require additional resources as until now most fresco restoration has been carried out by the small dedicated team within the Regional Directorate of Cultural Heritage (RDCH) in Korça. In addition, some skill enhancement for improving the restoration techniques is recommended as some weaknesses are perceived. Some form of training or structured workshops from external experts would be highly desirable, similar to that already carried out. Encouragement should be given to issuing scientific documentation with ideally open access to data for researchers. Particular efforts need to be made to ensure that funding through the various mechanisms available from the European Union and the European Bank for Reconstruction and Development (EBRD) are used to the benefit of the project. Sound preparation and presentation are important as well as the optimal timing of actions and decision making so as to achieve this. The project should be integrated into the Korça development strategy at the wider level. This should focus not only on the churches restoration but the economic impact of such restoration. The project can help to support the consolidation and expansion of labour-intensive economic sectors, such as small hotels/accommodation and construction, with positive impacts. These impacts should encourage support for better road access, infrastructure and tourism development in the Region. According to the report, the overall rehabilitation project for the twelve religious buildings is estimated to cost about 4.3 million euros. These estimates are preliminary and will need confirming when more details of the actual works will become available. Two alternatives have been costed, namely a Priority Phase of three churches costing 1.4 million euros and a programme of all the Voskopoja and Vithkuqi churches at 2.5 million euros. A phased approach is proposed with an Initial Study to give a strategic overall view to orient the programme. This would be followed by a Preparatory Phase with more detailed surveys to define more clearly the work required and to finalise the priorities before launching the project.